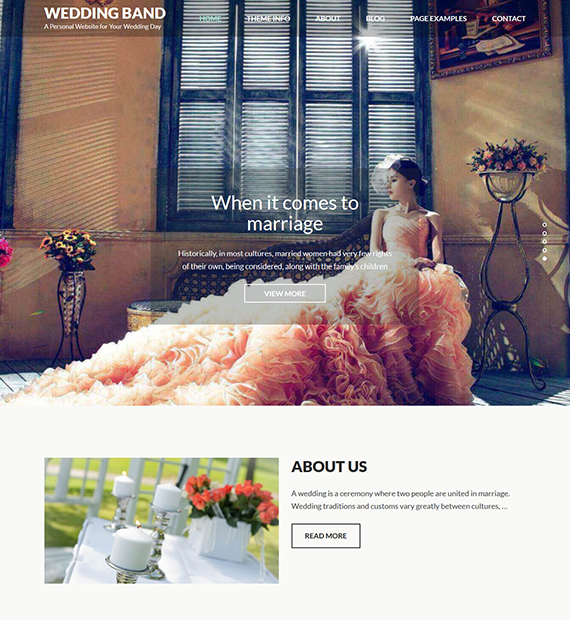 Wedding Band is a beautiful free WordPress theme suitable for wedding planners and couples to showcase their wedding moments and memories. The romantic feel of the theme help couples to craft a stunning wedding website without any hassle. This multipurpose theme featured several features like a slider to display images, an information section to highlight four essential posts, a section to tell your story, and a place to the add map of the wedding venue.